The plan of this volume is very similar to that of the others of the series to which it belongs. 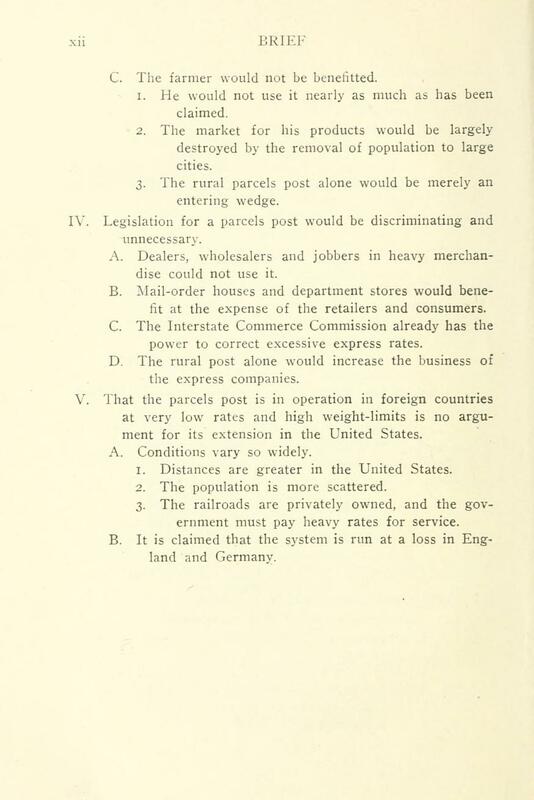 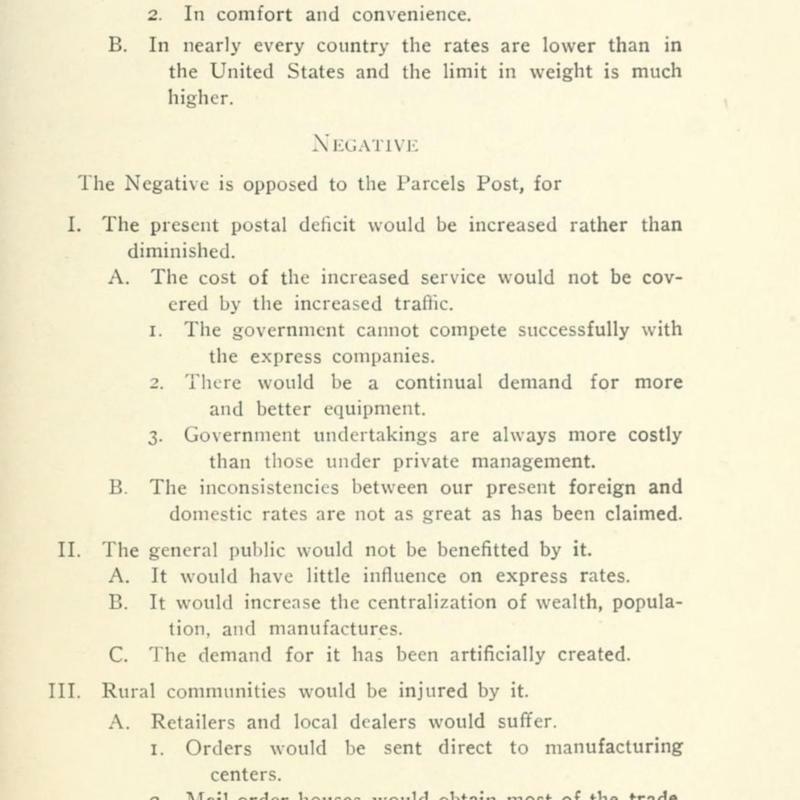 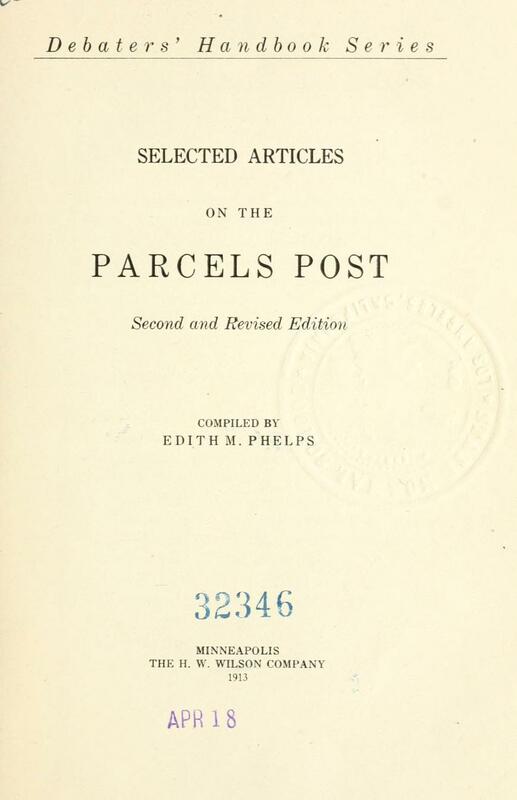 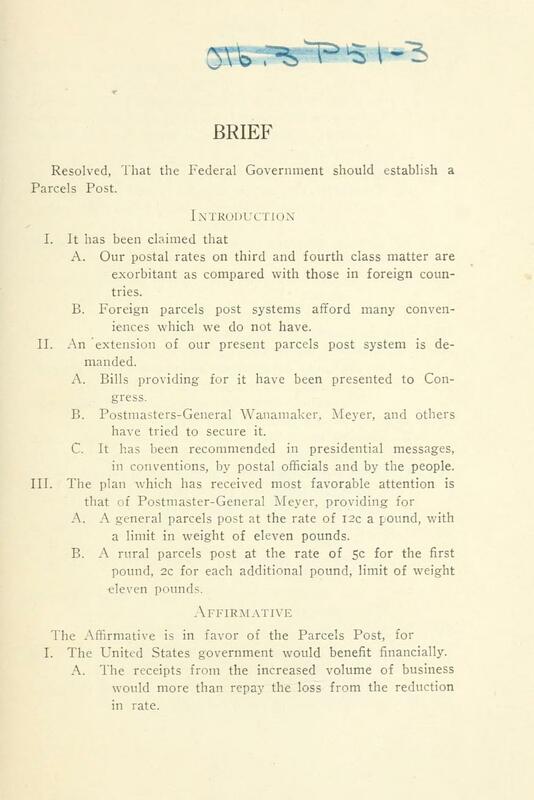 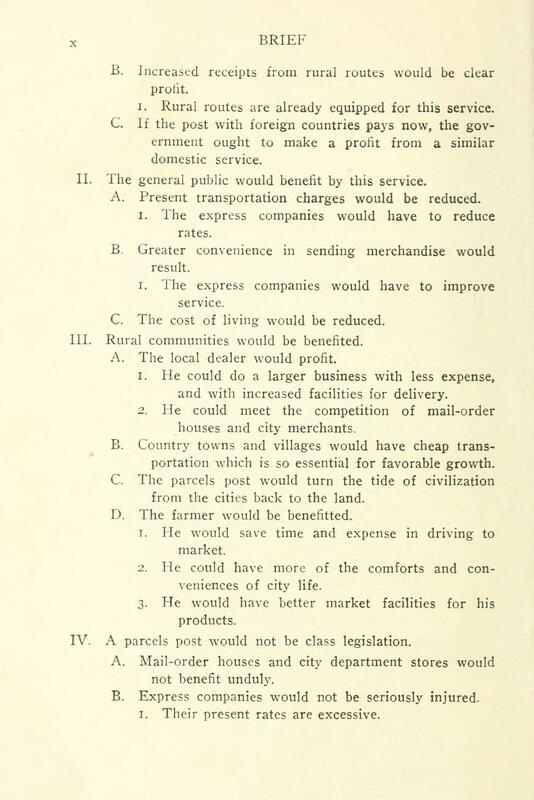 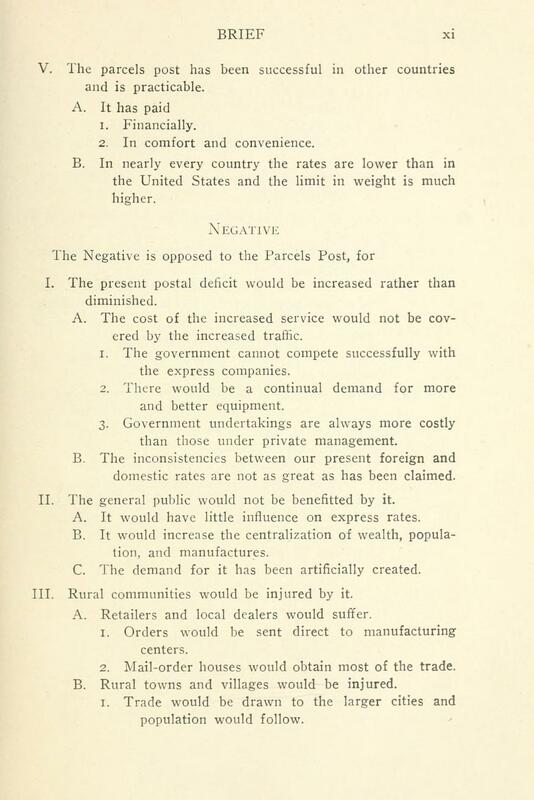 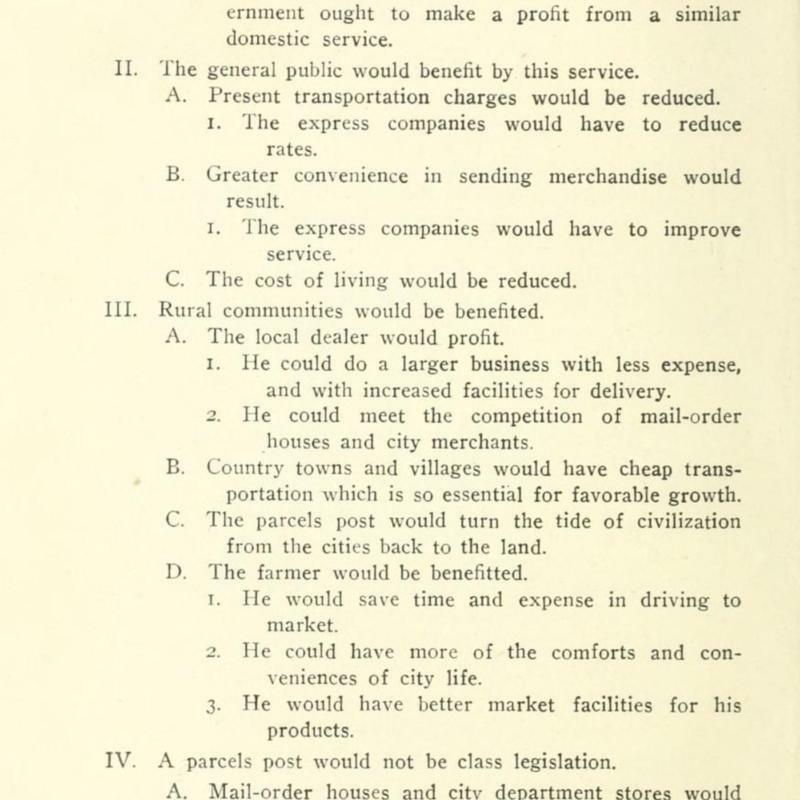 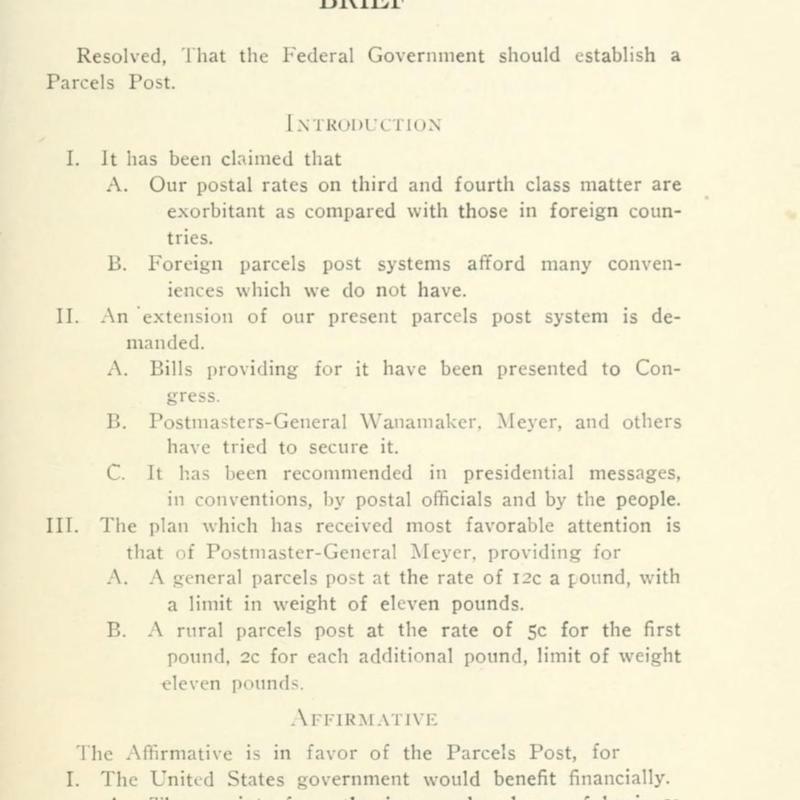 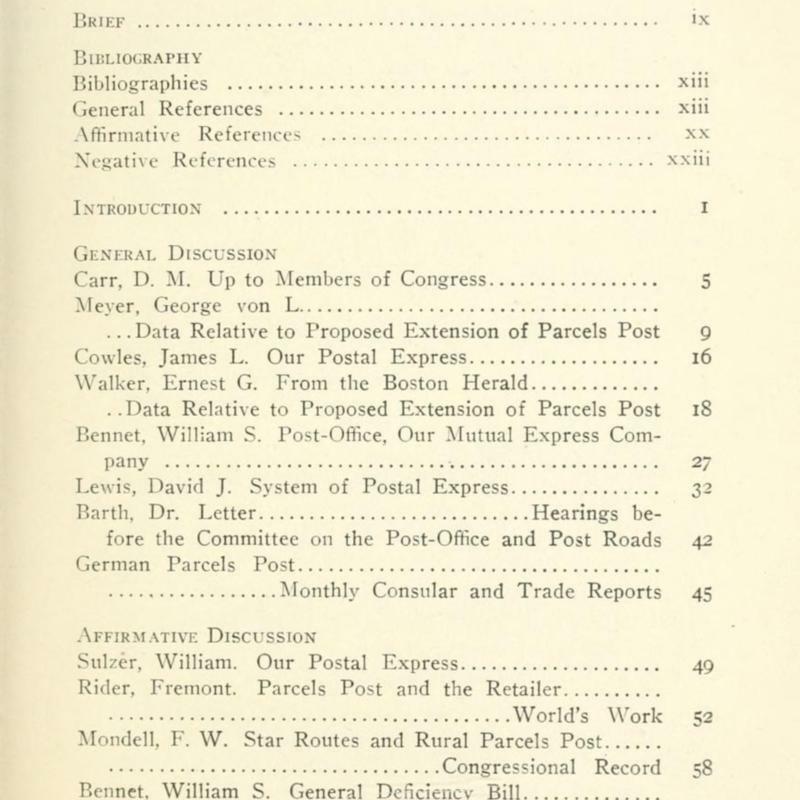 It contains a brief, a bibliography, and reprints of articles containing the various arguments for and against the parcels post; also, information in regard to the present status of the parcels post in this and other countries. 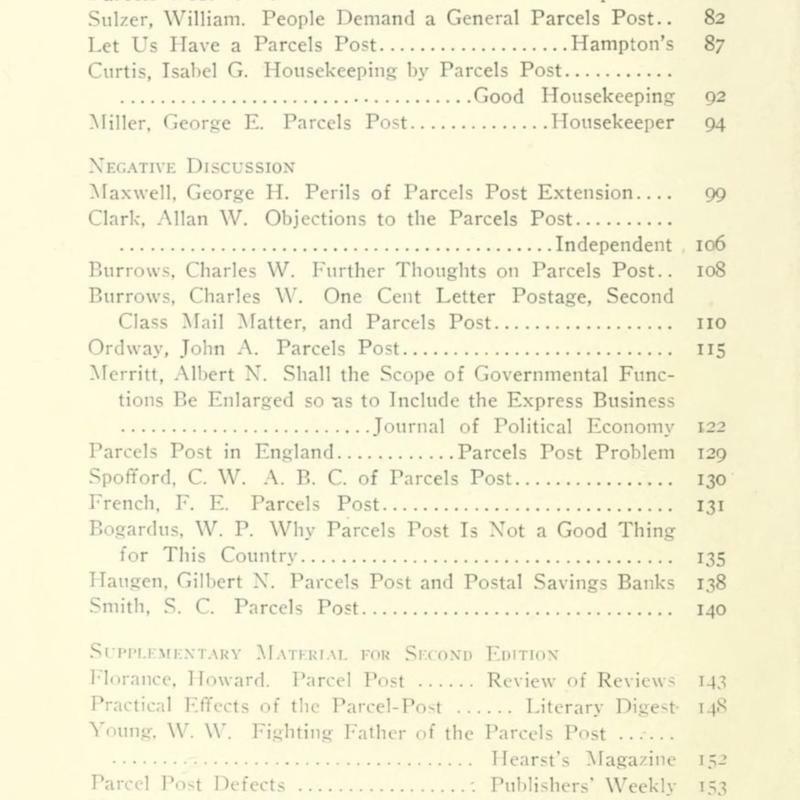 For the convenience of the reader, the articles have been arranged in three main divisions: the General, Affirmative, and Negative Discussions. 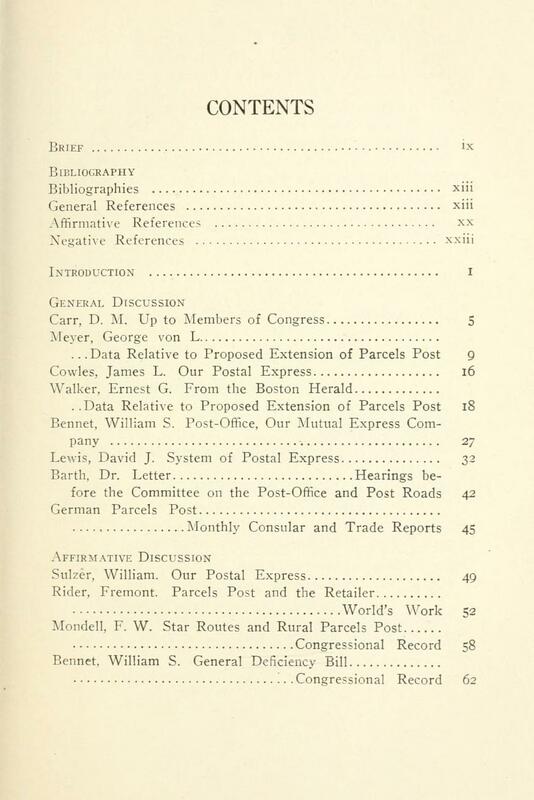 The bibliography is similarly divided. 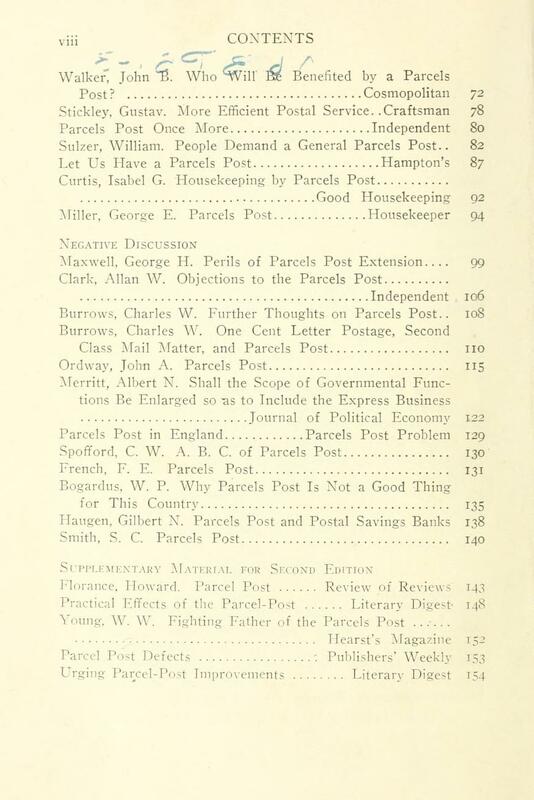 It is believed that debaters and others wishing material on this subject will find this book both convenient and helpful.